Join Brain Leaders and Learners on October 6 and 7 and become part of the live blog from Radio City Music Hall, New York City. Ask 2-footed questions, and tell us what’s on your mind that links to speakers’ topics. Along with a hub of 30 invited bloggers I’ll share news, pass along insights and mix in refreshing tools for mindful leading in a global recession. Keep up to dat e with top world thinkers, at this site, and be sure to jump in with your own additions, or leadership strengths. Organized and hosted by HSM Americas, this gathering of about 5000 top executives will shape Global topics with future innovative opportunities. Who are they? Like me, you’ll be highly impressed with HSM Americas and their lofty vision for a finer world. It will take people like you and me though, to carry a new leader’s torch for a hope that brings reality into sharper mental focus. Can we do it? 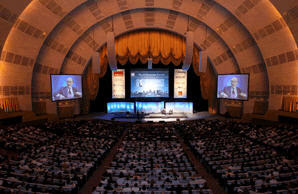 Hope you will join the action with Brain Leaders and Learners, when we blog live in NYC with 30 invited bloggers at the World Business Forum 2009 at Radio City Hall on October 6 and 7! Usually people consider sports betting as a pastime and not a job. Sometimes it’s seen as an addictive recreation, something a person shouldn’t engage in. However, there is a chance you could make a fortune if you’re taught sports gambling financial management aptitude. Many betting options exist today online, like online betting, horce racing, and others.